www.fantasticfiction.co.uk A young European girl, unaware of the Nazi threat, has her life transformed by a red-haired magician who challenges the complacency of her village. "Turns the hidden world of Eastern European Jews during the 1940s into a world of wonders, then transcends the Holocaust with magical optimism." --The New York Times. 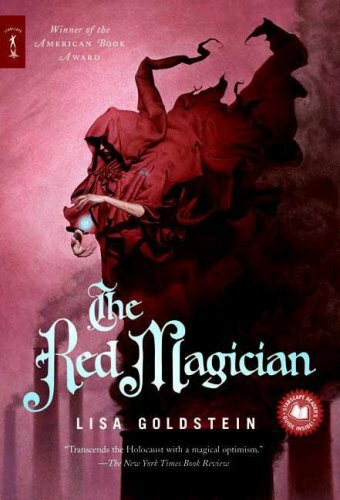 THE RED MAGICIAN sounds like both a magical and challenging book; live with the reports of exceptionally frightening times and lightened by the trials of thinking positively in defiance of that darkness. Inundated with books I’m passing this on unread. Originally planned for a Christmas 2015, BookCrossing surprise RABCK, a family accident intervened and the parcel was instead posted close to Valentine’s Day in February 2016 . Hoping Bookcrosser Haugtussa you find some intrigued readers to get well and truly gripped by these books, kind regards rainbow3. Got this book ages ago, but due to some fiddling about with the BCID I did not get round to register it until today. It is currently the book which I read as I walk to work. Quite a nice read. The horrors of the Nazies camouflaged in a magicians world. Took it with me to germany.